In this tutorial, we will teach you the very basic networking tool – Ping. 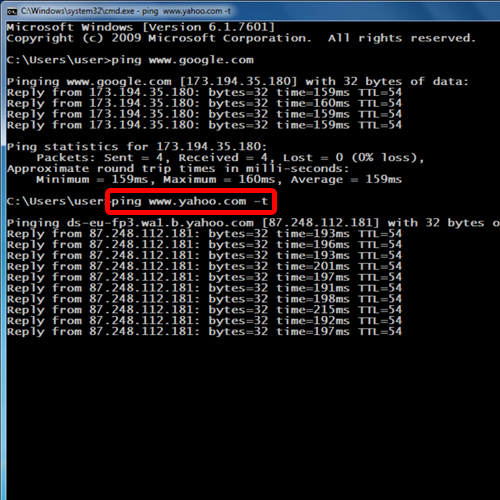 Ping on windows 7 can be used for checking whether you have connectivity to the internet or not. Windows has a built in tool for this purpose. In this tutorial, we will teach you how to ping on windows 7. First of all, go to the start button and in the search box, type “cmd” and then hit the enter key. This will open up the command prompt. You can always open the command prompt via the run command. 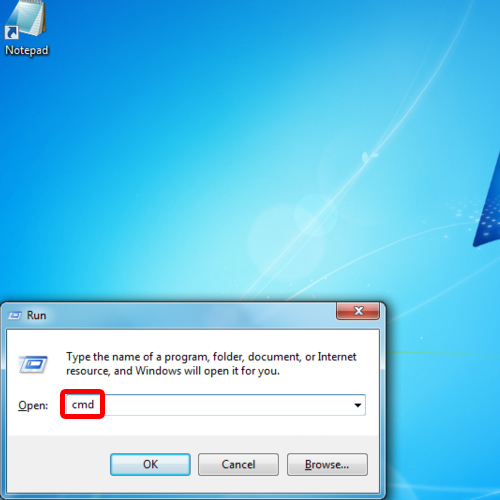 Simply press the “Windows + R” key to open the run dialog. 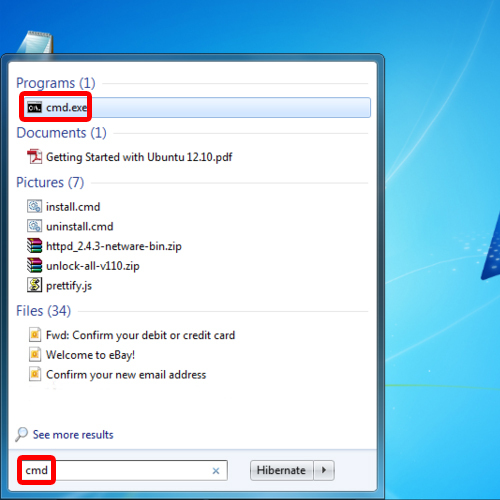 In the dialog box, type “cmd” to open the command prompt. 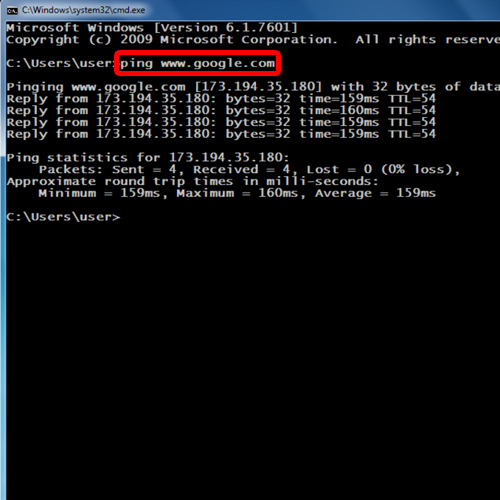 Once the command prompt opens up, type in the website you want to ping. In this tutorial, we will be pinging google. In order to do so, we will type “ping www.google.com”. This will tell us about our connectivity with google.com. This will tell us the average time it takes for a packet to reach us from google.com. In this manner, you can ping in windows. Next, we will ping yahoo.com. This time, however, we will type in “ping www.yahoo.com -t”. The “-t” at the very end of the command will allow you to ping the specific website for as long as you have the command prompt open. This is how you can use ping in windows.